Genuine OEM Canon Toner Cartridge, Yellow, 6,000 page yield. 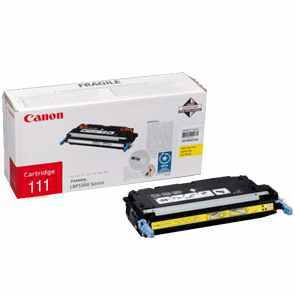 Canon part number: 1657B001AA, 1657B001, CRG111. Color Laser Toner Cartridge compatible with Canon imageCLASS LBP5360, MF9150, MF9170c, MF9220Cdn, MF9280Cdn, MFC9340. Genuine OEM Canon Toner Cartridge, Cyan, 6,000 page yield. Canon part number: 1659B001AA, 1659B001, CRG111. Color Laser Toner Cartridge compatible with Canon imageCLASS LBP5360, MF9150, MF9170c, MF9220Cdn, MF9280Cdn, MFC9340. Genuine OEM Canon Toner Cartridge, Magenta, 6,000 page yield. Canon part number: 1658B001AA, 1658B001, CRG111. Color Laser Toner Cartridge compatible with Canon imageCLASS LBP5360, MF9150, MF9170c, MF9220Cdn, MF9280Cdn, MFC9340. Genuine OEM Canon Toner Cartridge, Black, 6,000 page yield. Canon part number: 1660B001AA, 1660B001, CRG111. Laser Toner Cartridge compatible with Canon imageCLASS LBP5360, MF9150, MF9170c, MF9220Cdn, MF9280Cdn, MFC9340.